After a hectic TV-laden weekend, the CES 2018 expo is reaching peak announcement rate, and there are gadgets big and small flying past our ears all the time, so it's easy to miss cool products, and separate grain from chaff. Needless to say, one of the hottest categories these digital days, along with smart speakers, are the Bluetooth wireless headphones, as tons of users are cutting the cord, and earbudding it on the go. Jabra's new 65t (for truly wireless) buds harvest the idea that a sub-$200 pair can be well-rounded and well-sounding, too. Priced at $170, and with a 5-hour battery life promise (plus two charges in the case), these will be breathing down Apple's AirPods neck, whose supply constraint issues are said to resolve right around the time Jabra launches the Elite 65t pair in mid-January. Bonus points - these buds come with Alexa, Siri and Google, they don't have nasty-looking fins, and are water-resistant. Barring any unforeseen drama with the sound presets, the Jabra Elite 65t has all the prerequisites to be a seasonal hit when they land on the shelves. 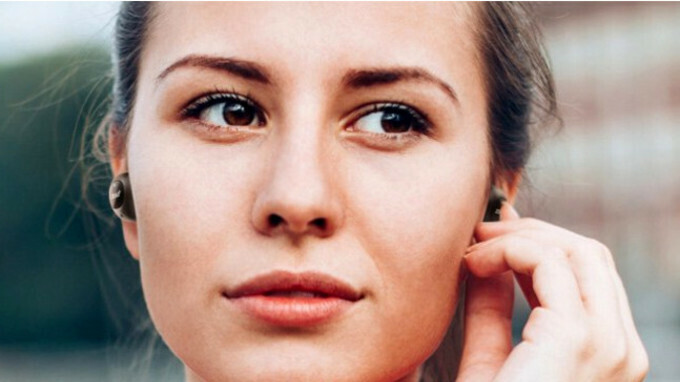 Building on the Elite 65t's virtues, the Active model ads an accelerometer for measuring your activity level and displaying it on the accompanying Jabra app. It too has Alexa built in (Siri and Google Now come for the ride), but a bit higher - IP56 vs IP55 - certification as sweat, water, and dust resistant. Duh, it's the Active version, and the resistance to the elements is backed by a two-year warranty as well. Everyone's favorite value for money accessory maker just made the Zolo Liberty+ official for retail purchases, graduating it from Kickstarter with flying colors not long ago. The plus sign comes from outfitting the new Zolos with Bluetooth 5.0, which is the latest and greatest wireless transfer standard that is twice faster and less energy-consuming than Bluetooth 4.2 which wireless buds come equipped with so far, but also has optimizations that should make dropped tunes and syncing problems an issue of the past. In celebration of Bluetooth 5.0, the future will cost you $50 more than the standard Zolo Liberty, or $149.99, but the 3.5 hours of battery life on a charge puts Anker at a disadvantage against a lot of direct competitors. The Liberty+ did cost $79 at one point two months ago for early backers, but if you missed that shot, you have to pay for the Kickstarter graduation ceremony. Not truly cordless, but still Bluetooth-y, these new Sennheisers come with a much lower price tag than their completely untangled competitors unveiled at CES. True to the teen trends, the renowned audio gear maker has tuned the CX 6.0BT to provide not only its signature clean and expressive sound, but also thumping bass for all that hip-hop streaming coming to your ears. The beauty of corded earbuds is that they usually outlive their truly wireless brethren on a charge, and the Sennheiser CX 6.0BT is no exception, offering 6 full hours of playback before you plug them in for 10 minutes to get extra two hours - yes, they call it quick charging for a reason.